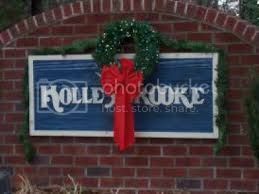 Holleybrooke is a long established community in Spotsylvania County, Virginia. It is located in the northeastern part of the county and has easy access to The City of Fredericksburg, I-95, and route 1. Holleybrooke has many amenities for its residents too, such as a pool and playground. For more information about Holleybrooke, please contact The Crews Team at 540-692-9144. Sign up on our website to get the latest homes for sale in Spotsylvania. When it comes to Holleybrooke, The Crews Team is here to provide you with exceptional service.